From roll tops to single ended, and from corner to rectangular, baths come in many shapes and sizes, so it helps to know what you’re looking for when you’re choosing one for your bathroom. They can be both functional and practical, or a real indulgence and style statement, forming a stunning focal point in your dream bathroom. This guide will tell you everything you need to know about our baths and how to go about choosing one, and give you an overview of the things you’ll need to consider before installing one. Straight baths are the most common option for bathrooms, but also offer plenty of variety within the range. For example, double ended baths have taps fitted along one side of the bath, leaving both ends free for you to lean back and relax. For more in-depth information, see our straight bath buying guide. When you don't have the room to have a shower and a bath, but can't live without both, then an L-shaped or P-shaped shower bath is the answer. The benefit of a shower bath over a regular straight bath is that it is slightly wider at the showering end, to give you more room when taking a shower. For more in-depth information, see our shower bath buying guide. This style of bath covers some of the most stylish and luxurious designs, including traditional roll top baths and gorgeous slipper baths for creating a stunning centrepiece in your bathroom. There are both traditional and contemporary freestanding baths available, including roll tops like the Shakespeare bath, and sleek modern designs like the Arte freestanding bath, or the Harrison (pictured below). 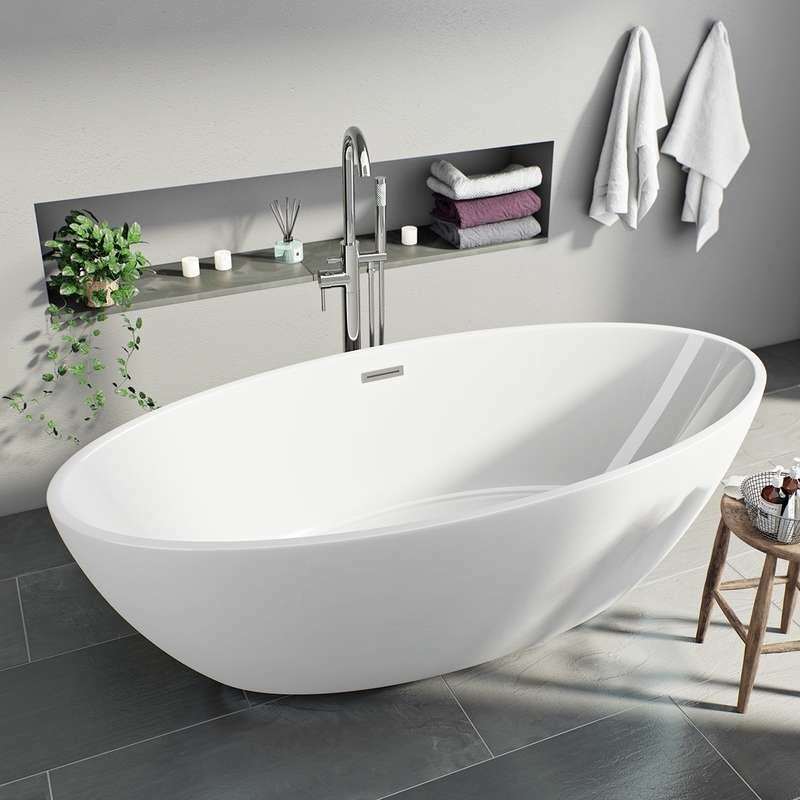 For more in-depth information, see our freestanding baths buying guide. These baths are great for larger bathrooms, but can also be surprisingly space-efficient. The rounded shape slot seamlessly into a bathroom for a streamlined look, offering a large and luxurious bathing space. There are different designs available within our corner bath range, including the luxurious whirlpool bath, so you can create the feeling of a spa in your own home. For more in-depth information, see our corner baths buying guide. One of the first things you need to think about is what size of bath you can accommodate, and where it will go in your bathroom. 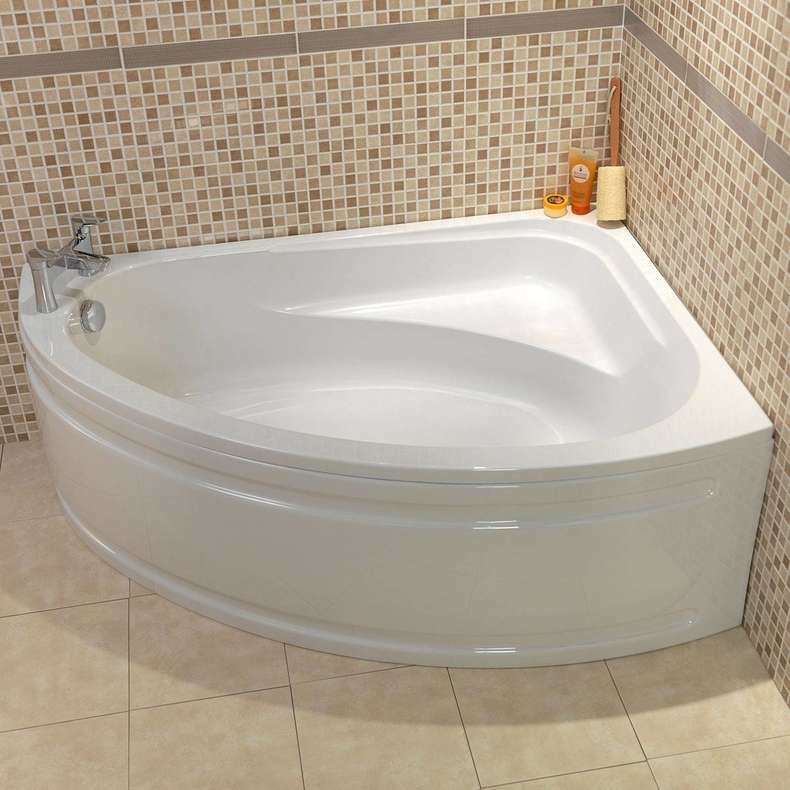 Fitting a bath into your unique layout isn't easy, so that's why we have a wide range of sizes available at VictoriaPlum.com, designed to suit different space requirements. Many of our models can be used to create a built in bath, that fits seamlessly with your bathroom decor. Make a scale drawing of your bathroom so you can see where a bath could fit, or if you’re just replacing a bath, measure it to see what size you will need. Many of our designs come in large or small options, and some are deeper for a more luxurious experience. You can easily shop by size by using the options on the left side of the product results pages. You also need to think about where the taps will go, such as if they need to be mounted on the wall or in the floor for freestanding baths or baths without tap holes. The type of bath you choose will dictate the type of taps you can go for. Some baths have tap holes where either mixer taps or single taps can be fitted, whereas others may need taps mounting elsewhere. Straight baths will generally have the option for mounting taps at one end or in the middle. 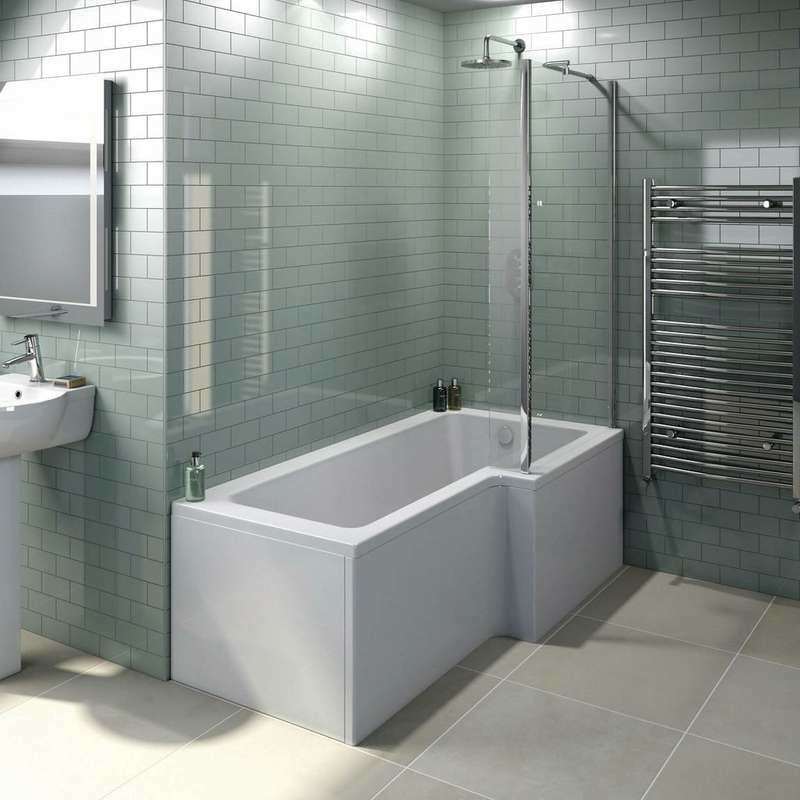 Some freestanding baths can also have the taps mounted on the end or the middle, though some will need to have them fitted to a wall, or coming up out of the floor. Many of our baths come as part of a package deal complete with bath panels, screens, wastes or feet. When this is not the case, we clearly show which extras you will need for the bath you have chosen. Our straight baths need bath panels to provide the final touch, with a wide choice of finishes and colours available so it can tie-in to your bathroom perfectly. Bath screens are also a clean and practical option compared to the traditional shower curtain, providing a sleek and modern look. Get started browsing our fabulous range of baths today. Once you have bought your beautiful new tub, why not find out how to install your bath, with our handy guide? Whatever type of bath you choose to buy, there's a huge selection to choose from, right here at VictoriaPlum.com. Start browsing baths today. 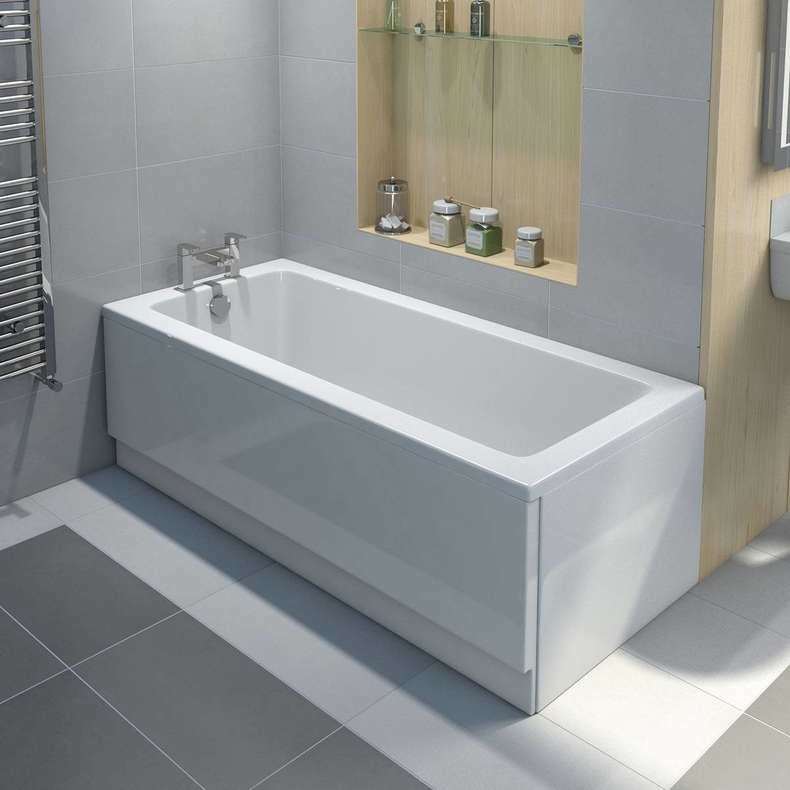 With its great space-efficient design, the corner bath is ideal for smaller bathrooms. This guide will introduce you to the range of corner baths at VictoriaPlum.com, and give you some tips on what to think about when choosing one. This guide has been designed to introduce you to the range of straight baths at VictoriaPlum.com, so you can decide what would work for your bathroom. This guide will give you a brief introduction to shower baths, and a look at the range available at VictoriaPlum.com.